Stoneleigh is significant as a moderately intact example of a typical Late Victorian /Federation era style farmhouse associated with one of the areas earliest settlers. It is unusual in presenting the improvement in conditions experienced by some local farmers following decades of marginal subsistence. This is probably the result of the availability of cheaper transport to Melbourne from the nearby Melbourne Ballarat railway which was completed in the 1880s, and the ability to transport produce - and in particular hay and chaff, to Melbourne markets. Stoneleigh is architecturally significant at a LOCAL level (AHC D.2). Although altered and extended, it still demonstrates some original design qualities of a rudimentary Late Victorian / Federation style. These qualities include the hipped roof form that traverses the site, together with the face red brick chimney and narrow eaves. Other intact or appropriate qualities include the central timber framed doorway and flanking timber framed windows, and the return verandah with its timber fretwork. 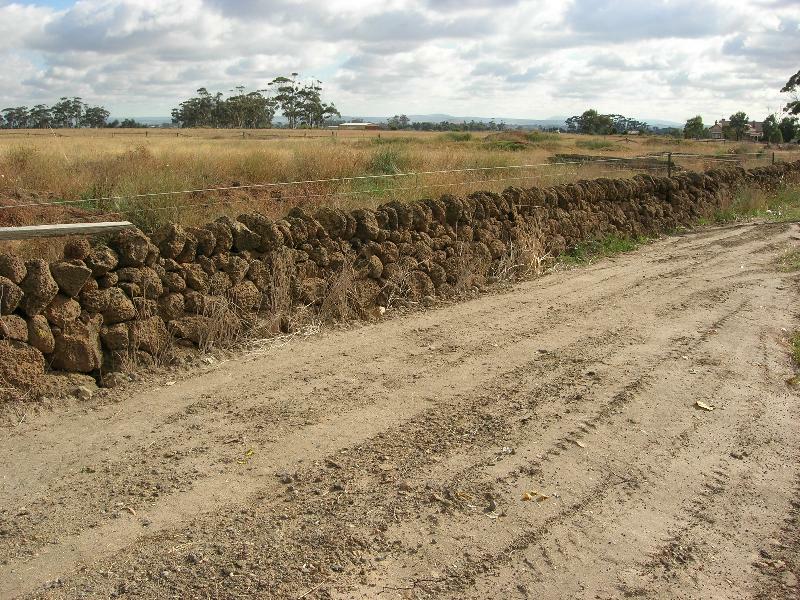 The adjacent dry stone walls along both sides of Sinclairs Road and adjacent the Kororoit Creek - particularly the north side), the palms, and sugar gum plantations also contribute to the significance of the place. Stoneleigh is historically significant at a LOCAL level (AHC A.4). It reflects the long-standing occupation of the site by the pioneer family, the Cropley Brothers, who were the first purchasers of this allotment, and subsequently R H Binney who managed to maintain their standing and improve their conditions. The site has potential for evidence of the earlier, probably bluestone house of the 1850s. Overall, Stoneleigh is of LOCAL significance. The Stoneleigh property comprises a late nineteenth or early 20th century timber homestead and outbuildings, with garden trees and stock yards. The house has hipped and gable roof on a large 'L' plan with wrap-around verandah with timber fretwork. The red brick chimneys had corbelled crowns and terracotta chimney pots. 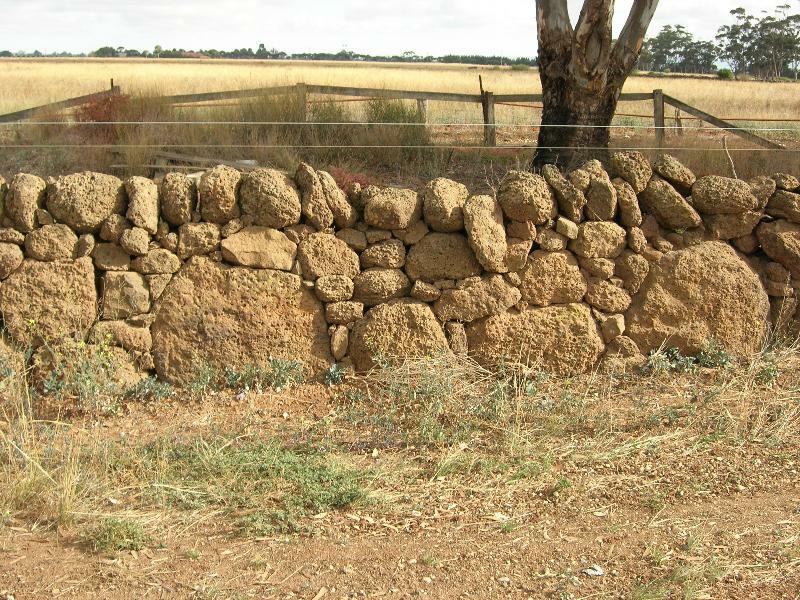 The Heritage Inventory record indicates that: "This place consists of a house, its dry stone walls, and the cultural landscape close to the Kororoit Creek." The 1998 recording noted "Standing structure dating to late 19th/ early 20th century, possibly incorporating earlier elements. 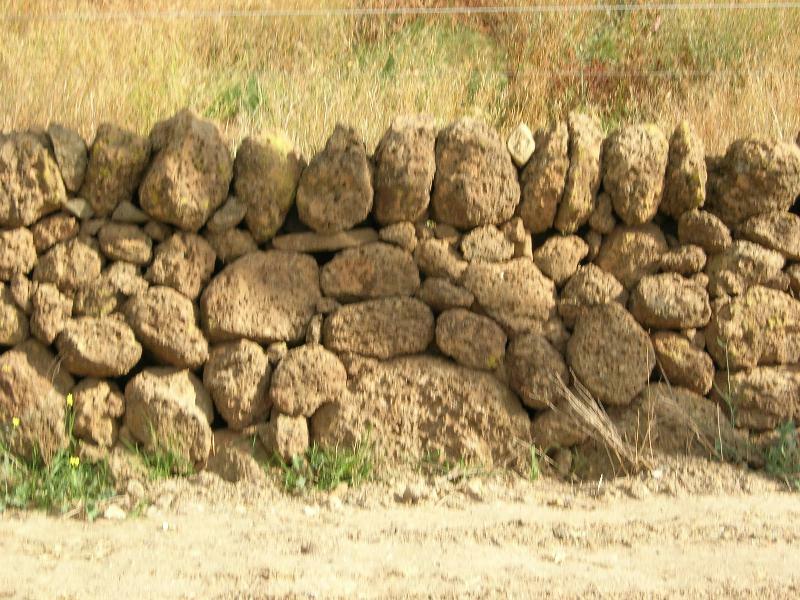 Associated features include outbuildings and dry stone walling." (Place No.435). An altered example of this Federation stylistic type, Stoneleigh is asymmetrically composed and features hipped and gable roof forms, and a return bullnose verandah. The roof forms are clad in deep red painted galvanised corrugated steel. Early face brick chimneys with corbelled tops adorn the roofline and there are modest eaves. A flat roofed verandah porch and door opening, and some corner windows have been introduced. The Melton Heritage Study identified Stoneleigh as a "conservation desirable place", but due to constraints in funding for the further stages of the study after its initial identification, it was not possible at the time for it to be assessed for significance and added to the Heritage Overlay. Stoneleigh is on the allotment originally purchased by the Cropley brothers although the Parish Plans record H.S. Crossley as the purchaser at auction on 18 April 1852 but this is a misspelling for Henry Clay Cropley, the actual buyer. (It is sometimes listed as H & J Crossley in 1852 on the Parish Plan (Figure 4), although it is clear that this was a typographic error for Croppley, which is sometimes the spelling used for Cropley). The mistake was later corrected on some plans. The Cropley brothers, Benjamin, George, Effield, John, Samuel, and Henry Clay, first came to Australia in 1850. Certain of the brothers returned to their home county, Lincolnshire between 1851 and 57 but came back in 1857 to establish a dairy and hay farm near the intersection of Middle and Sinclair's Roads, Rockbank which was eventually known as 'Stoneleigh'. The farm was on the Kororoit Creek and had once been part of the Rockbank Run. The brothers each selected 50 acre blocks on Greig's Road and leased other land, evidently from Clarke. The small size of the blocks was probably an indication of the limited means of the family as up to 640 acres could generally be selected. Despite the dominance of the Clarke estate, the Rockbank area became home to small farmers in the 1850s, growing and selling hay and dairy produce in Melbourne. In order to make their farming operations more profitable, John Cropley ran a small mixed store, selling everything from ribbons to window sashes to local farmers. The brothers may also have continued the previous carting work which Ben had commenced during the gold rushes first with a draft horse which was stolen and then returned for the reward and later with a bullock team. Henry only occupied the property for about 10 years, leaving it in tragic circumstances as a consequence of an attack by the bushrangers Saunders and Johnson during his absence. 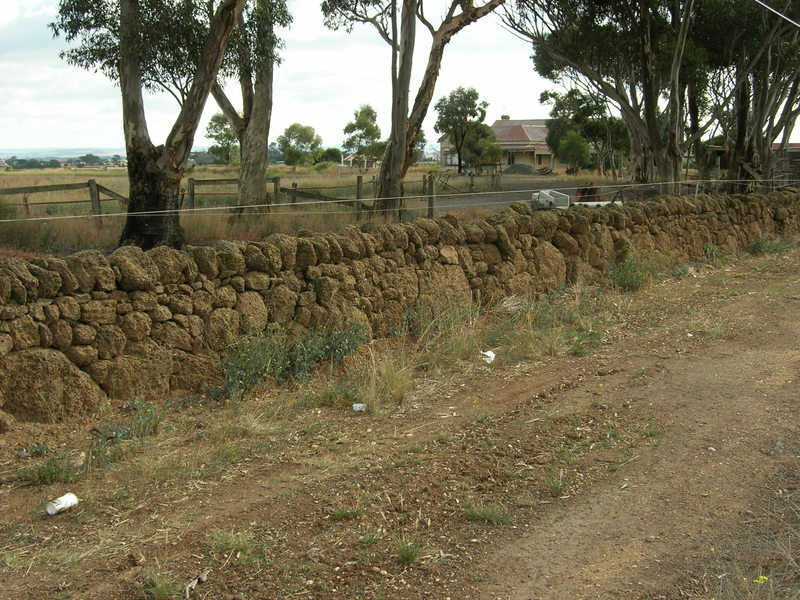 Saunders and Johnson rampaged through the area in August 1861 holding up the hotel at the junction of the "Ballarat and Rockbank roads" (Melton Highway and Beattys Road), accosting a Mt Cotterill farmer on the road from Melton, and then proceeding on to "Mr Cropley's farm on the Footscray Road". The obituary of John Cropley's wife, Mrs M. A Cropley in 1916 indicated that family had settled at Rockbank 61 years previously and carried on the farm for 34 years rearing eight boys, William John, Charles, Melton, Crosby, Harry, Perry and Sydney. This indicates they were at Stoneleigh from 1855 to 1889, when Mrs Cropley came to Footscray and brought up the younger members of her family there. Mrs Cropley was buried in the family grave at Truganina on 9 June 1916. The original bluestone homestead and outbuildings were located on the south bank of Kororoit Creek but today the site is dominated by the turn-of-the-century timber farmhouse. The original cobbled driveway still leads to Sinclair's (formerly Hopkins) Road, which itself retains the bluestone cobbling constructed during the 1850s following the establishment of the first roads boards, although it has been covered with asphalt. The 1930s ordnance survey maps show several buildings, a windmill and dry stone walls on the property and also show dry stone walls surrounding the property, on all sides of Section 26 Lot C.
The Cropleys also owned property in the Truganina district, part of which later became May Farm, which has been in the Evans family for four generations. Some of the Cropley brothers selected land in Gippsland in the 1870s where they ran a dairy farm and unsuccessful sawmill. 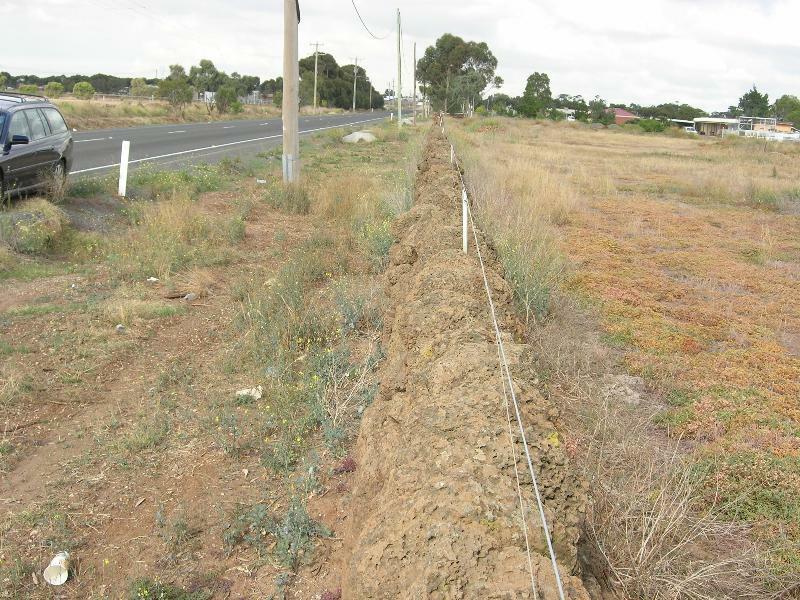 Walter Cropley carried on the family property early this century and there are still descendants of George Cropley resident in the Truganina district. Robert Hesleden Binney purchased lots B and C section 26 in 1890 and farmed the property up to his death in 1893. His estate became insolvent and had to sell up. Prominent politician Henry John Wrixon bought the property in 1897, along with other substantial landholdings in the area and held it until his death in 1913. He was evidently an absentee landlord in the fullest sense, since much of this time on overseas tours, in state parliament, in his Western District electorate, or involved in the Federal Commission. In the early 20th century it was farmed by John Dalwood, who enlisted in the AIF in 1914 and between about 1914 and 1917 H. Talbot Sanderson is regularly listed as proprietor of 'Stoneleigh, Rockbank' in sales of fat sheep at the Melbourne livestock sales. 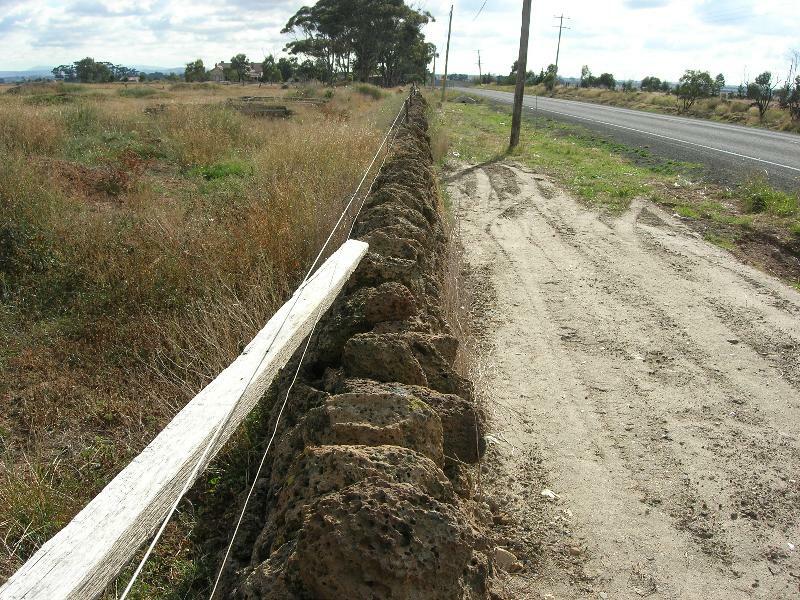 However, the Title indicates that Bertie Albert Thomas (of 'Brindley Park' Greenvale bought the farm in 1922, comprising a total of 458 acres comprising lots B, C, 6 north of Ballarat Road and parts of Section 24 south east of the Ballarat Road and Sinclairs Road corner. Gwen Mosely lived on the Stoneleigh property in the 1930s. The property was still operating as a sheep stud in the 1950s, owned by A Simons. A number of subdivisions of the farm occurred in the early 1950s, following Bertie's death in 1954. Alfred and Dorothy May Simons were evidently occupants of the property for some time and had paid over ₤19000 to Bertie and his executors, so that the Simons couple become owners on 8 December 1954 (Certificate of Title Vol. 4497 fol. 290). The property was bought by Thomas Christian Taylor and Francis Irene Taylor in 1955 (Certificate of Title Vol. 8119 fol. 855). In 1959, Eric Joseph Sampson, Julian Laws Sampson and Graham Eric Sampson, bought the property in a complex share arrangement (Certificate of Title Vol. 8338 fol. 721). A 5 acre block was subdivided off in 1962 (Certificate of Title Vol. 8239 fol. 298). A, and Julian subsequently sold his share to the other two on 14 June 1963 (Certificate of Title Vol. 8520 fol. 405), but then bought out the other two on 14 June, before selling to Robert Andrew Wilson on 20 August 1963. Wilson mortgaged the property with the ES& A bank, and his widow Sylvia May gained title in 1968, with it passing to Andrew Arthur James Wilson (presumably her son) in 1989. Historically, the house is a scarce remaining example of houses built in the late 19th or early twentieth centuries. Unlike the closer settlement period houses, it reflects the improvement in living standards of the established farmers with advances in farming management. -House, Leakes Road, Rockbank (Place No.403). Although altered with an introduced verandah and a carport at the side, this house shares a similar hipped roof form, scale and construction. -House, 30 Hickey Road, Melton (Place No.288). A predominantly intact example, this house features a hipped roof form and a projecting front verandah with early timber fretwork valance (some components of the valance are missing however) and early timber posts. -House, 1180 Exford Road, Exford (Place No.274). Another timber example of the type with a hipped bullnosed front verandah that has been altered. Only one of the early turned timber posts survive. -House, 161 Bulmans Road, Melton South (Place No.174). A similarly constructed and designed dwelling, the front verandah has also been altered, with introduced timber posts and aluminium valances and brackets. -House, 1374 Gisborne-Melton Road (Place No.030). A similarly unassuming Late Victorian example, the verandah has also been altered. - House, 32 O'Neills Road, Melton (Place No.230). A less intact example of the Late Victorian type, the building features a similar hipped roof form, although the front verandah is bullnosed. The front windows have been altered. -House, 2341 Western Highway (Place No.462). An almost identical dwelling with the house at 911 Melton Highway, the building is similarly unassuming in appearance, reflecting a Late Victorian style. 109 Ordnance Survey Plans Melbourne Sheet. 1933. G. Vines, Melton East Structure Plan, 1990, Vines Hopkins Rd interchange archaeological survey. Vic Roads 1993. Biography, Australian National University, http://adb.anu.edu.au/biography/wrixon-sir-henry-john-4895/text8191, published in hardcopy 1976, accessed online 17 September 2014. Rate Books, Shire of Braybrook; Crown Lands Files 31/7476-9, George, Effield, Benjamine and John Cropley.